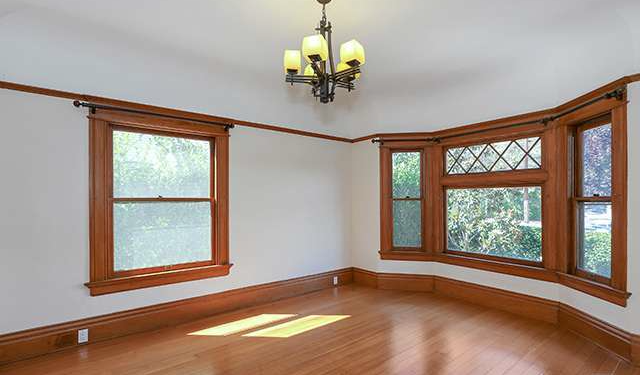 Having just written about 1072 West Edgeware Road, a parcel with two large properties on it, we find ourselves — yet again — at another property, 847 & 849 East Kensington Road, also with two substantial units for the price of one. 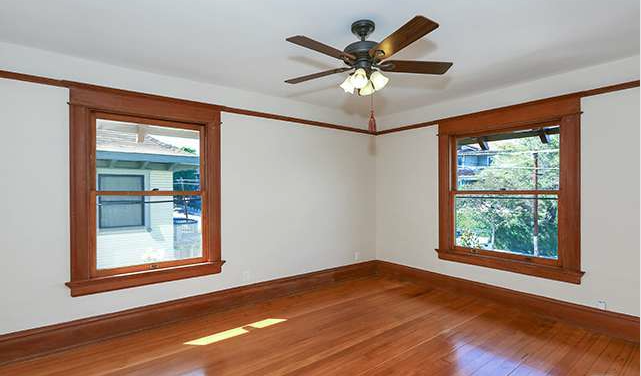 Located in Angeleno Heights, both of these homes have recently received a thorough restoration. 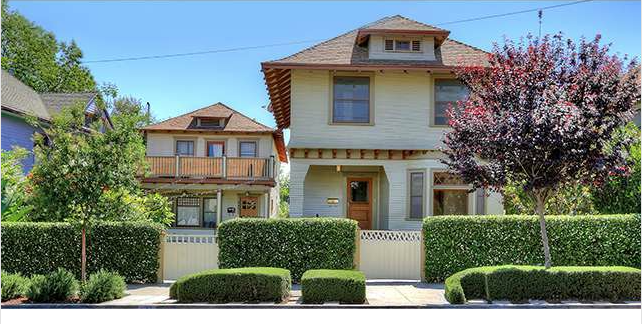 Together, both properties are asking $1,399,00 (again, the same as 1072 West Edgeware). 847 East Kensington is a 3 bedroom, 2 bath home with a large balcony, usable attic, and an added bonus room. 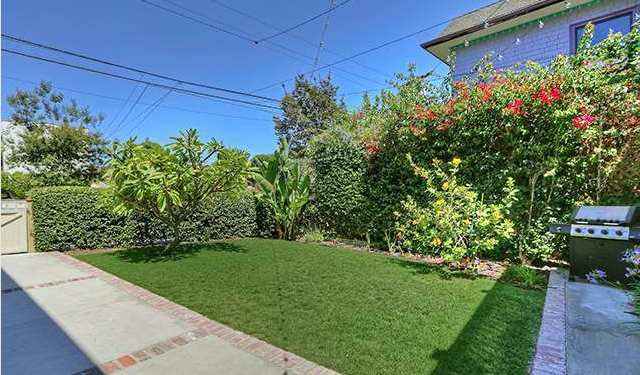 With a large front yard it also has the benefit of being set back from the street, allowing for some added privacy. 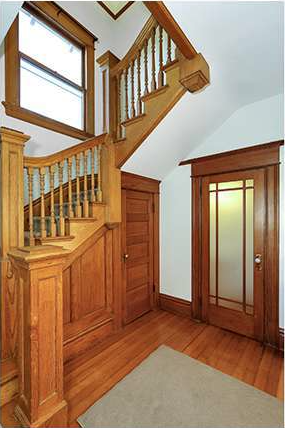 Currently occupied for $2,925 a month, we’ll be focusing most of our attention on 849 East Kensington. 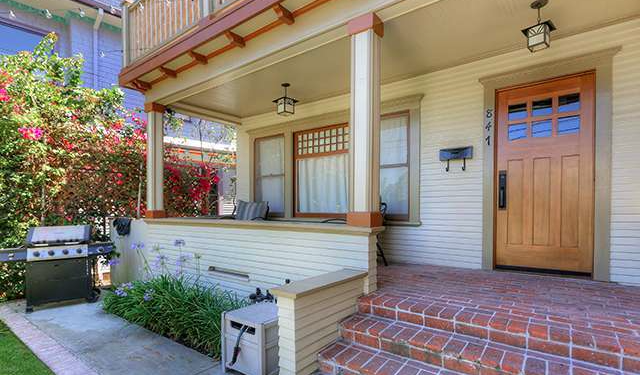 Both homes have been updated with central air & heat and both have basements, a rare oddity for SoCal homes. 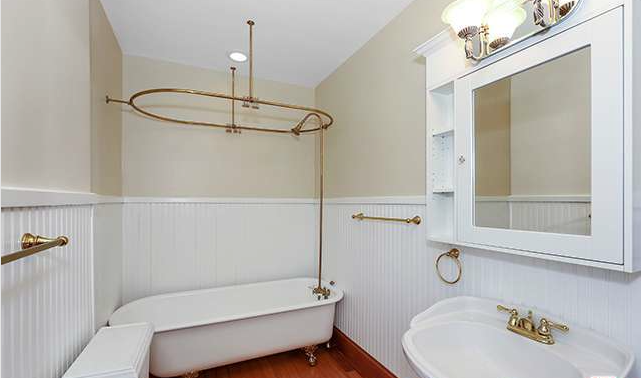 The front home also gives you an extra half bathroom, over the other. Natural wood is everywhere — and it’s magnificent! 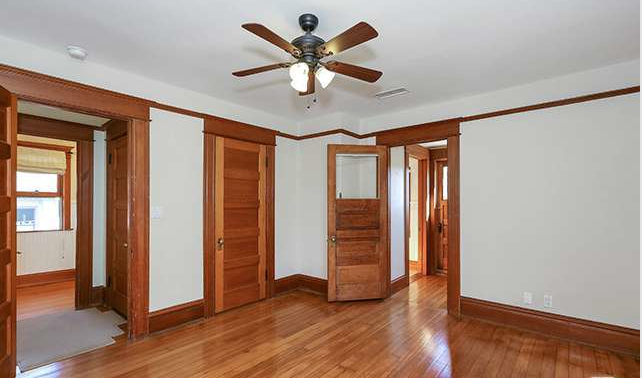 The floors are original hardwood and it’s obvious that a lot of care was put into keeping the period details. 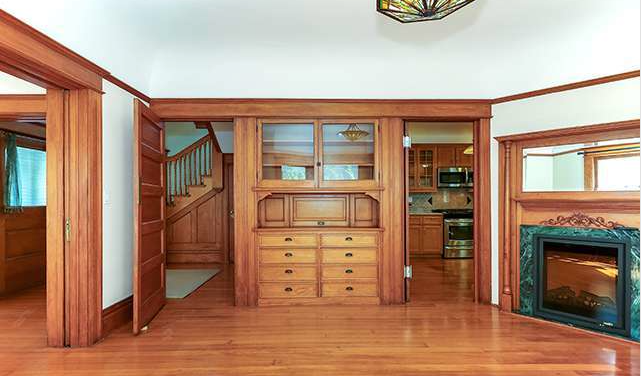 From pocket doors and built-ins, to the window and door moldings, and Tiffany-style chandelier, Craftsman style abounds. 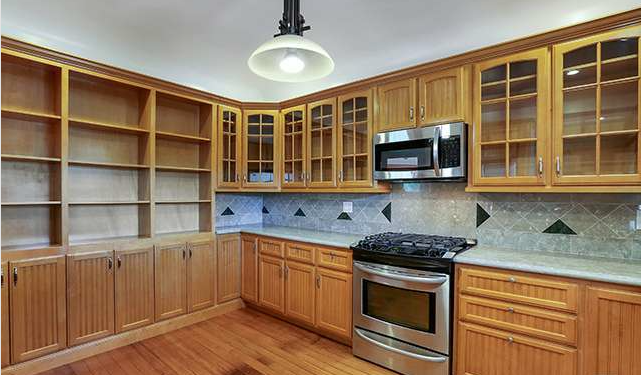 The kitchen is awash in cabinet space, possibly too much, while the bathrooms maintain their traditional flare with features like pedestal sinks, claw-foot baths and wainscoting. 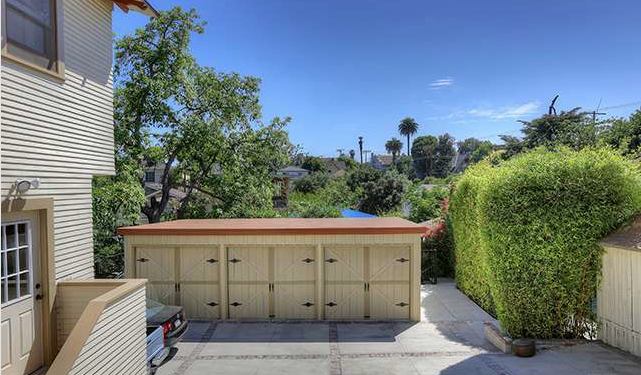 Additionally, there is also a large covered balcony overlooking the shared 3 car garage. 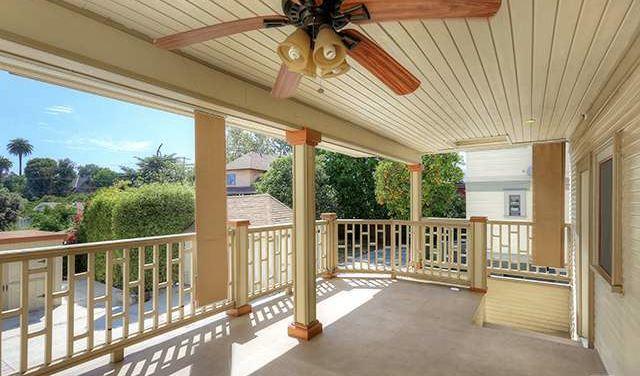 As porches go, this is one of the classiest I’ve seen, particularly with the added ceiling fan to keep you cool. 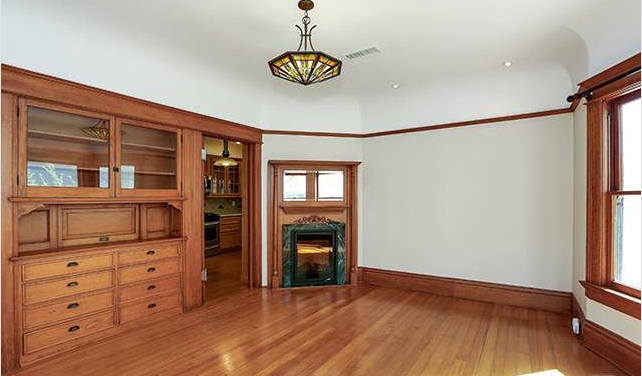 Overall, this seems like an excellent owner-occupier opportunity, though I am very curious to see whether 847 Kensington has been restored to the same level as 849. If that is indeed the case, the only decision left to be made, would be which to live in, and which to rent. Coley Sohn of Urbanite Inc. has the listing.